Forty years ago, a chap called Jean-Claude Rude tried to become the fastest cyclist in the world with the aid of an adapted Porsche 935 Turbo. It did not go well. At over 100mph, his rear tyre blew, jamming the wheel. Rude was just about able to keep control of the sliding bicycle, coming to a stop - thankfully - with no injuries. 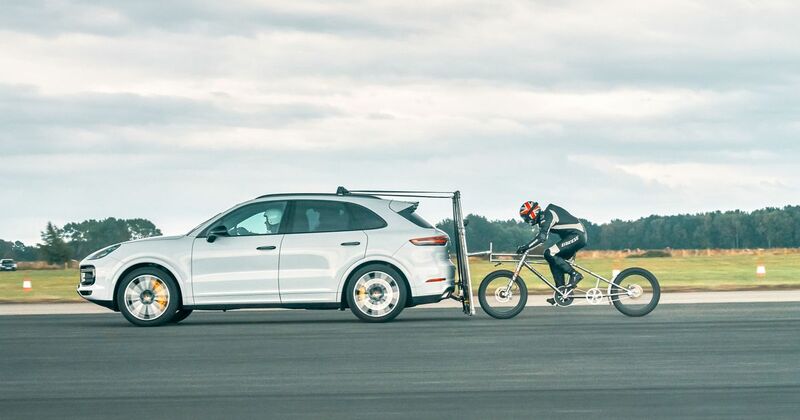 Now there’s been another cycling record attempt involving a Porsche, which has been rather more successful. 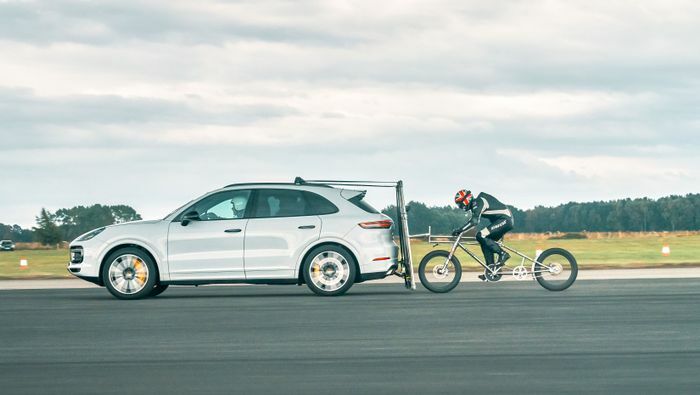 Neil Campbell was able to break his own record of 135mph by hitting 149mph while slipstreaming a Porsche Cayenne Turbo with a giant panel attached to the back. 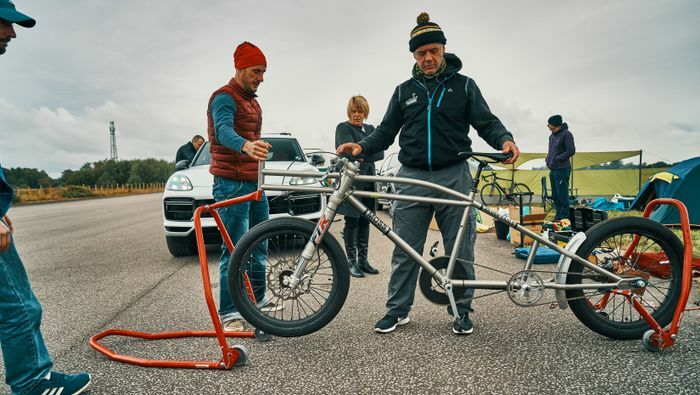 Campbell was towed behind the Cayenne while riding a creation Moss Bikes - a carbonfibre bicycle with an elongated frame - up to 110mph before being released. He then pedalled up to 149, bagging a European record in the process. He’s not content with that, though, and intends to challenge the outright record. The speed to beat is 183mph, set by Denise Mueller-Korenek at the Bonneville Salt Flats last Sunday.